JAM Restoran & Coctail Bar is located in Puerto Banus (next to Corte Ingles). At JAM, organic ingredients and wines are used to prepare the food. Pasta and jam are made on the spot. JAM is a new restaurant and cocktail bar characterised by its decoration with handmade jam jars everywhere. A relaxed place to have fun and enjoy tasty food, a mix between Italian tradition and a modern international touch. The dining experience is fused with a retro-chic atmosphere and good music: an environment ideal also for business dinners, private groups, and business events. A restaurant proposal adapted to every moment of the day, for an outdoor breakfast, a light lunch, an aperitif, or a dinner between friends. 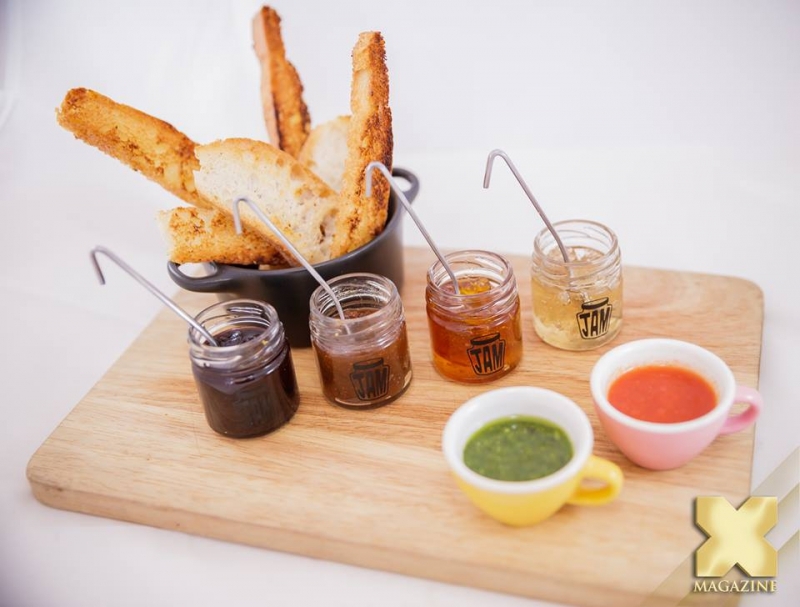 International dishes cooked with attention to the raw materials and special care of the typical details of Italian culinary culture; tradition and innovation, this is the perfect union JAM wishes to share with you. Please mind JAM's new morning opening times: Monday to Saturday from 9:30 a.m. to 12:00 a.m. Come and enjoy your breakfast! Also, every Monday, JAM promotes a meat-free day aka Meatless Monday and offers a vegetarian menu to its guests. Come by or check JAM's website for more information!